New PreciseLOOP Appnote and Data Sheet. 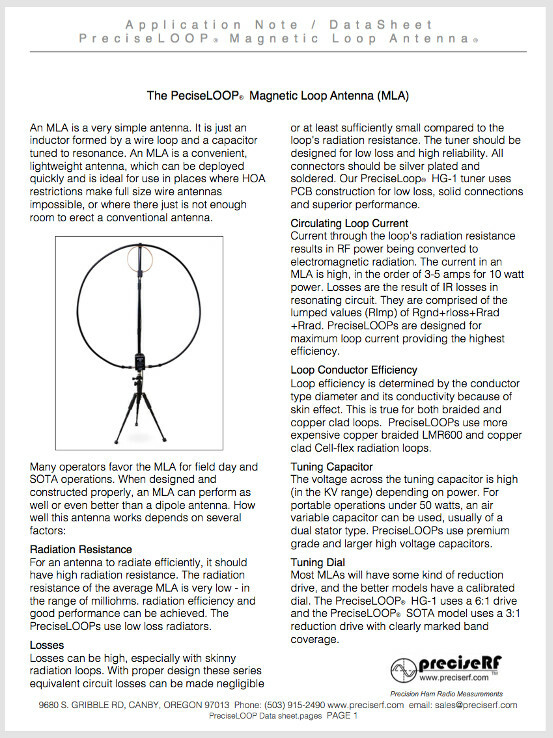 In response to a number of inquiries from our customers, we have published an appnote covering the new PreciseLOOP antennas. In addition to a technical description, it also gives detailed information of the PreciseLOOP specifications. Among the topics covered are maximizing gain, radiation patterns, loop current, SWR plots, comparisons to the dipole antenna, set-up and use and internet discussions. In makes an excellent adjunct to those using any loop antenna or to those considering buying one. Will the Precise Loop antenna work indoors?